They might acknowledge their disrespect for science, or for driving rejection as a vehicle for "brutal retail politics". Voices as varied as the schoolchildren who marched on Friday, the top ranks of Australia's central bank, and federal department chiefs are warning of the consequences of those changes. Emergency services, diplomats and farmers are all seeking the best answers to climate change effects - effects which some of their flecked representatives for the better part of a decade said didn't exist. There still are holdouts, including a few reactionary MPs who continue to embrace Tony Abbott's belief just over nine years ago that the science was "absolute crap". "Financial stability will be better served by an orderly transition rather than an abrupt disorderly one," he said. Last week, secretary of the Department of Home Affairs Mike Pezzullo mentioned climate change in a speech - Seven Gathering Storms - to a think tank. Mr Pezzullo warned of states which might become ungovernable and a possibility of "mass displacement of people". Contributions to this displacement could be "poverty, hunger, water and resource scarcity, and a changing climate, which will have to be thought of as a systemic risk factor". "The argument is absolute crap. However, the politics of this are tough for us," he told a regional audience in December 2009. "Eighty per cent of people believe climate change is a real and present danger." 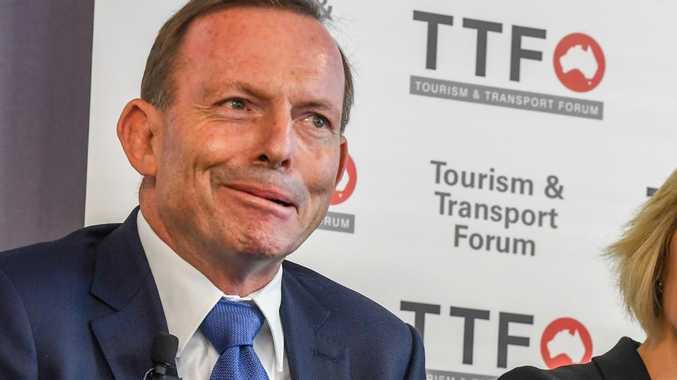 He used that rejection of evidence and local opinion to wreck the carbon price policy of Labor Prime Minister Julia Gillard, his offensive from Opposition against the so-called "carbon tax". "That was brutal retail politics, and it took Abbott six months to cut through and when he did cut through Gillard was gone," she told Sky News. And, Ms Credlin said, "It wasn't a carbon tax, as you know." However, Mr Abbott was "hugely unconvinced" in 2009 and continued to harness his rejection of climate change science in 2017 in a speech he made in along on. "Primitive people once killed goats to appease the volcano gods. We are more sophisticated now but are still sacrificing our industries and our living standards to the climate gods to little more effect," he said.